A kingdom of isolation and it looks like I’m the queen. Couldn’t keep it in, Heaven knows I tried. Can’t hold it back any more. Turn away and slam the door. I don’t care what they’re going to say. My power flurries through the air into the ground. I’m never going back; the past is in the past! And I’ll rise like the break of dawn. Here I stand, in the light of day. 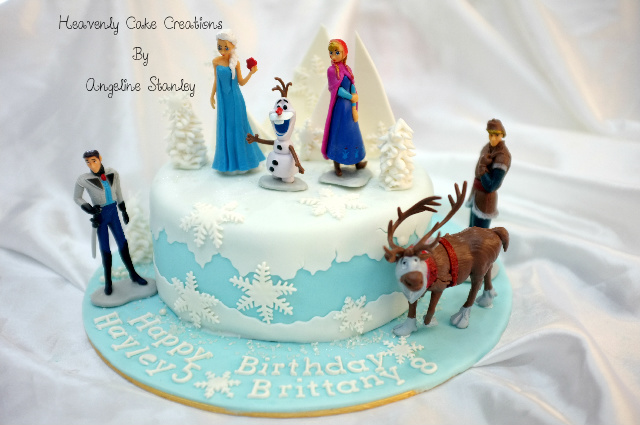 How much it cost for frozen 3d cake?delivery cake or Have to collect it?